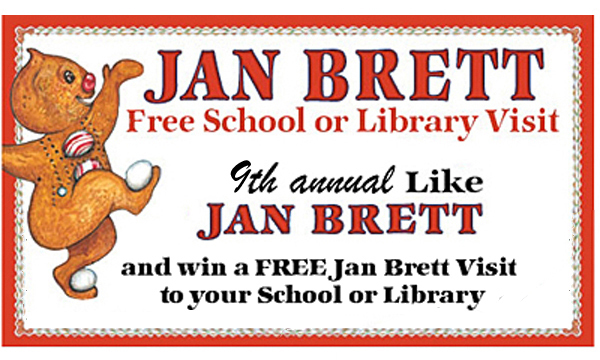 The school or library that has the most parents, teachers, friends or supports who enter the contest will win a free school or library visit from Jan in 2019-2020 school year. Contest ends Monday, April 8, 2019. Please click on the link http://www.janbrett.com/contes... to register.